Expanding from a local, or US-only brand, into the global marketplace requires significant research and market knowledge in order to be successful. This includes everything from immersion into the national pop culture to adopting local idioms and slang to accommodating cultural considerations in website design and branding. Every touchpoint with consumers must reassure them that your brand not only accepts their culture, but embraces it. Simply transplanting what works in the United States just won’t work in other countries. Frankly, it’s insulting to even try. Think about the closest country culturally and geographically to the US: Canada. Even Canada spells certain words differently. They have a different currency and measurements. There are two official languages. Canadians even have different national holidays. Ignoring small differences like these can give the impression that you don’t care about the Canadian market, that your brand is just there to make money and not respect the people. Buyers tend not to like that. Now picture trying to do the same thing with a country that has major cultural differences from the United States. For example, Japan, South Africa, China or somewhere in the Middle East. You now are dealing with language barriers, technology differences, strong religious or government implications, traditions, as well as cultural influences. To successfully operate outside of the US borders, brands must go beyond simple language translation and immerse themselves in the local culture online, in person and everywhere in between. 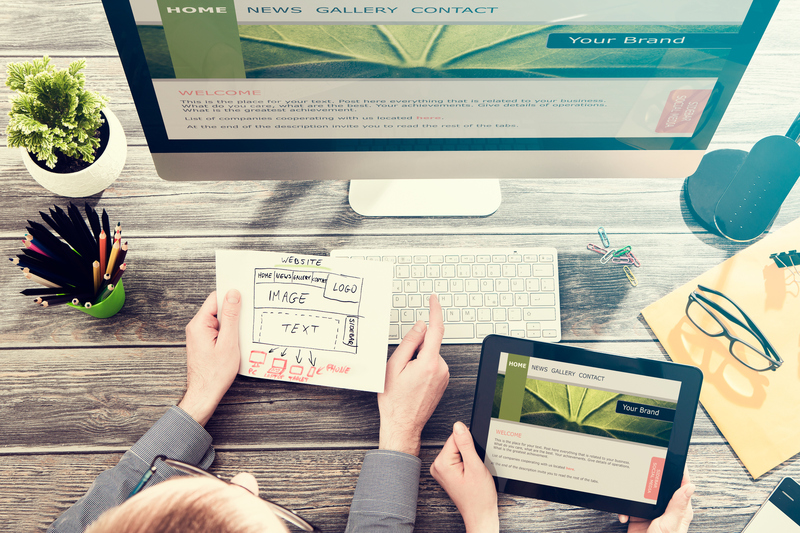 Adopting these cultural considerations into a website offers an entirely unique set of challenges for brand managers. Yet, in many ways, it is the most critical area to focus on. A website is often consumers’ first introduction to a brand, particularly to a brand new to the country. There are three main reasons why brands should incorporate cultural considerations into website design: brand reputation, comprehension and clarity, and to encourage sales growth. The last thing any brand wants to do is insult its customer. But that is exactly what improperly researched web design can do in a foreign culture. 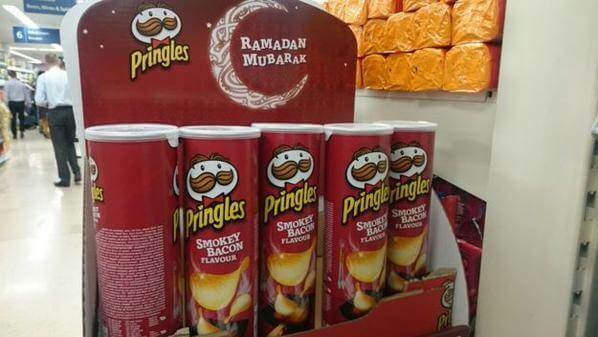 Tesco promotes Pringles bacon flavored chips to Muslims on Ramadan. This just shows basic ignorance of one of the most basic tenets of Islam – pigs are unclean, and that includes bacon. To promote bacon-flavored anything during a month of fasting demonstrates how little thought Tesco put into this promotion. Nike insults Samoan culture with improper use of tattoo imagery. Even big brands can make large mistakes if they don’t do local research. With the best intentions, Nike attempted to glamorize Samoan tattoo art. What it did, was take an artform exclusive to male chiefs and try to capitalize on it using a female model. Public outcry over cultural appropriation and exploitation caused them to pull the line. Most recently, Dolce & Gabbana’s complete miss in the Chinese market, with a racist ad insulting the Chinese. This ended in a call for a boycott of all D&G clothing in China, as well as becoming an international black eye for their brand. Just a cursory level of research into the local culture would have prevented all of these missteps — and save the brands involved a huge deal of embarrassment. Lost in translation is more than just a movie. How often have you seen translations of English phrases in other languages and laughed at the misinterpretation. Think Pulp Fiction was joking about McDonald’s “Royale with Cheese”? Think again. The quarter-pounder in McDonald’s French menu is actually the Royal Cheese. Why? The company’s famous Big Mac translates to Gros Mec or “Big Pimp” in French, not exactly the message they were going for when opening in France. Pepsi famously ran a promotion in China “Come Alive with Pepsi”, which translated to “Pepsi brings your ancestors back from the dead.” Eek. Clearly, global expansion requires language experts. Google Translate is not your friend. Make sure your website and branding materials are all reviewed by a local expert, with local knowledge. Literal translation is not enough. Local idioms and pop culture play a huge role in language translation and consumer’s interpretations of your messaging. Obviously, the main reason to expand globally is to create new growth opportunities, both financially and in brand awareness. However, this requires an investment in time and resources to get right. Ignoring local customs will sabotage expansion efforts before they even have a chance to get started. Consumers buy from brands that take them seriously, that respect them. Showing up and force feeding different nationalities the same thing that works in America demonstrates that you only care about making a quick buck (or Euro or yuan or…). Showing buyers that you are truly a part of the community will result in loyalty and continued growth. Being a part of the community means that you must be in touch with what makes them different and unique, not trying to shoehorn them in to what works for your brand. This takes a lot of effort, but will likely be made up for in your bottom line. So, how do you figure out what works in China or Europe or the Middle East? The answer is easy. And not so easy. . .
Research. And not just by your company. Alone, you likely can’t do it. You need to bring in local resources to help vet everything. People on the ground in the countries you are expanding to need to become your experts. Phrasing, colors, graphics, hidden messages, pop culture references — everything is a potential land mine, as well as an opportunity. You also want to find a technical team that has built multicultural websites before. They can help you determine whether you need entirely different domains with their own copy and design, simple language translations, or some hybrid in between. Furthermore, anthropologists at Hofstede have identified several major characteristics of different cultures around the world. Assessing where your target market falls is a key step to help define how you should proceed in your website design. When analyzing cultures and how your brand should best communicate with them, make sure to present your messaging in the way that resonates best with them. For a quick overview of the countries you are targeting and where they fall on the cultural classification scale, try the Hofstede Country Comparison chart. For example, in many Asian cultures, there is a large gap in power between people in authority versus the general population. Whereas in America, the belief that anybody can rise up and become an executive is firmly entrenched in our values. Designing a website for cultures with a high power distance may involve using more images of senior executives. Stay away from imagery implying collaboration and teamwork. Additionally, providing executive only password-protected areas of your website may be helpful. Focus on any awards, certifications or honors that you have to demonstrate a higher level of credibility. Their words, not ours, we swear. In terms of culture and web design, masculine cultures are defined as those focused more upon egotism, assertiveness and financial dominance. More feminine cultures embrace cooperation, quality of life and gender equality. The most feminine countries are Nordic, including: Sweden, Denmark, Norway, The Netherlands. How does masculinity affect web design? When designing a website for a more masculine culture, consider including competitive elements such as games or goal-oriented challenges. Make the website exciting and dynamic with videos, colors and interactive elements. Feature limited-time only offers. Websites designed for feminine countries should focus more on how a brand/product/service helps the community as a whole. Provide ways to let consumers get involved, such as voting for your next flavor or getting involved with charitable efforts. Don’t emphasize gender roles. Some cultures prefer clear cut rules, regulations, explanations and descriptions. These cultures avoid uncertainty at all costs. Others get offended when things are spelled out so clearly and don’t leave room for interpretation and creativity. These traits are evaluated on the uncertainty avoidance scale and should impact choices in web design. Countries with a high level of uncertainty avoidance include Russia and Japan. Countries that tolerate more uncertainty include China, the US, and England. When designing a website for cultures with a high level of uncertainty avoidance, being clear and direct makes the most sense. Explicit text and actual images of the product or service will resonate the best with consumers. Make your navigation super clear and precise. Web design for cultures with low uncertainty avoidance should present more ‘feeling’ imagery and allow customers to use their imaginations. Present a wider array of choices. Use a more open navigation to allow users to explore in the way they choose. This seems a little more clear cut to identify and incorporate. Does a culture value personal success or communal harmony more? Traditionally Western countries like the US, England, Australia skew very strongly on the individual scale. Whereas many Central and South American and Communist or Socialist countries skew towards collectivism, e.g. Guatemala, Panama, Ecuador and Venezuela. Designing a website for cultures that are more individual should place a higher emphasis on personal time and freedom. Provide a sense of achievement or things that stand out in content selection. Choose images that personify personal success. Web design for cultures that are more collective should exemplify tradition and values. Emphasize communal benefits and harmony. Okay. We admit there is a lot to think about. That’s why you need help. Once you have figured out the cultural positioning of your target market, you are ready to start building your website. Talk to an agency experienced in multicultural web design. This will be a collaborative effort between your brand, your web design agency and the local experts you have enlisted. There are three main buckets for cultural implications on your website: Language, Graphics, Other. (Yeah, yeah, we know, the last one is a bit of a cop out). Language is clearly the most obvious change you will make on your website. For some brands, it is the only change they will make. Don’t let that be you. Unicode. First, and most importantly, implement Unicode. This is basically your Rosetta Stone. Unicode is a character coding system that allows your text to be translated into nearly any language. Word Length. Some languages are just long. German, for example, which creates compound words like it’s nobody’s business. “Lover” in English translates to “Lebensabschnittpartner” in German. Understand what this means for your text. CSS. Using CSS will help with a lot of the formatting issues that arise from using foreign languages, including adapting to longer word lengths, changing font sizes and even reading from right to left. Forms. Avoid character limits on your forms when unnecessary. That 13 character-limit you imposed for a name? Not gonna fly in most Asian or Nordic countries. Updating your graphics, imagery and design layout for other countries is a murkier area. While making language adjustments seems intuitive, many brands may be tempted to just push through with the same “look” as works for them domestically. At the very least, the below cultural considerations should be employed. Design in longest language. Don’t hard code lengths. If you are creating a single design to walk across multiple languages, start with the longest language you will be using first. This will allow you to adjust spacing, avoid overcrowding and allocate the appropriate number of lines per text box. Religion. Think about the role that religion plays in a culture. Countries with strong Islamic, Buddhist or Hindu influence may object to images that are innocent at home. Images using cows, pigs, or bare skin in messaging present clear issues in other countries. Pop culture and symbols. Seemingly innocuous things can present problems too. Like a peace sign. In Australia, Scotland and the Netherlands, that is the equivalent of a middle finger. A thumbs up in Italy, parts of Africa and the Middle East can have a similar negative meaning. Colors. Before choosing colors, think about what you are trying to portray. In western cultures, black is the color of death, where in eastern countries, white symbolizes death. Red can mean purity in India. Orange in Northern Ireland can be inflammatory, symbolizing Protestantism, and years of conflict. Grids. Some countries, like Germany, prefer their information clearly organized and delineated in a grid format. Elements need to line up and be evenly spaced. Other countries prefer you to ‘break the grid’ in order to stand out and emphasize important content. Beyond language and graphics, there are a host of other things to think about when designing a website for another culture. Here is a partial list. Devices. In developing countries, don’t expect consumers to have the latest iPhone X — or even an iPhone at all. Apple has not gained the inroads in the rest of the world that they have in the US. Android is more ubiquitous. And in many countries, smartphones are a relatively new technology, with most of the phones resembling closer to what the US had in 2009. Technology. Understand that not every country is about to enter a 5G revolution. Bandwidth in developing countries needs to be considered when designing websites. Reduce file sizes, load times and pare down use of imagery to make the user experience more enjoyable. Holidays. Christmas, Thanksgiving, Independence Day? Very country-specific. In fact, aside from New Years Day, you won’t find many holidays celebrated everywhere. Don’t use holiday-specific messaging across the globe. Or, even better, research the local holidays and acknowledge them thoughtfully. Measurements and Currency. Ensure your site reflects the local systems. Whether its metric or the Euro, offer information in the way that the local consumers understand. Icons. Think the hamburger icon is universal for exploring the rest of a site? Nope. Do your research and figure out what other cultures are using and adopt that on your site. Search vs browse. Some languages are clunkier to search in, particularly character-oriented languages. Websites in those cultures tend use homepages that present options to browse, rather than simplified pages fostering easy search. Local apps and services. Align your payment methods with what is most trusted locally. It’s probably not PayPal or Venmo. Set up your social networks and other partners with the most valued ones in that culture – think beyond Facebook. In aggregate, incorporating all of these cultural considerations in your web design seems overwhelming. 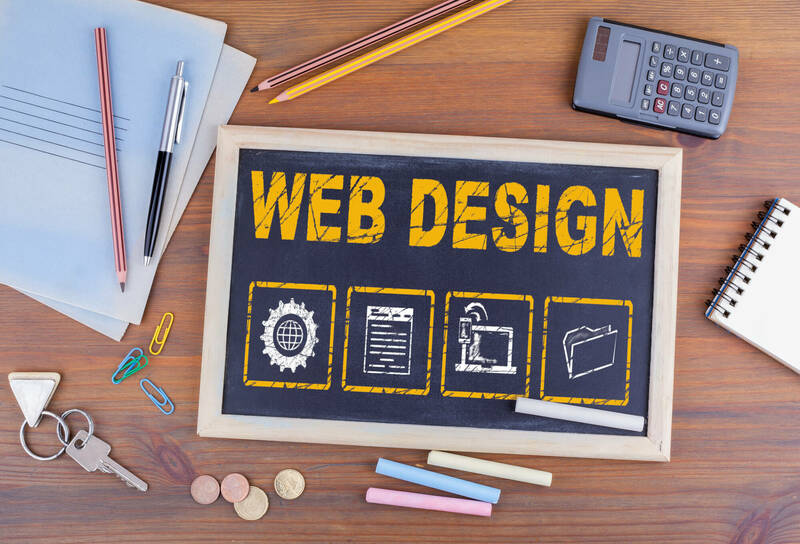 That’s why it’s imperative that you seek the help of a local expert as well as a web design team skilled in multicultural web design and development. CMDS can help you navigate this complex area and ensure that your website functions properly in the target markets you select. Give us a call at 732.706.5555 or email info@cmdsonline.com to get started.